I love dips. I could eat a whole meal of just dips. Every time I think about dips, Freak Nasty's words play over and over in my head. "This goes out to all the women in the world. . . When you dip, I dip, we dip." Get to dippin' this weekend with one of my favorite recipes. I love the flavor of dill and this Green Goddess dipping sauce is perfection. I've used it with fresh shrimp, salmon, white fish, and pork tenderloin. It is also great as a veggie dip. Super easy to make and can be prepared ahead of time. Delicious! This weekend, give your wardrobe a Green Goddess vibe! My favorite white tee, patterned shorts, arm party, and jelly sandals make up the look I'll be dippin' in. I love Jelly sandals for summer. 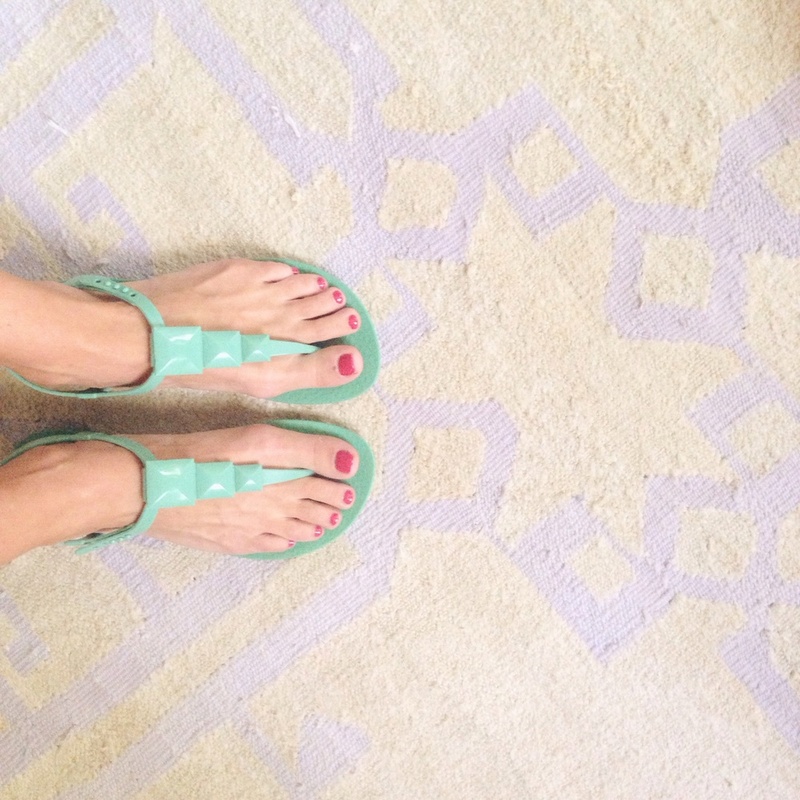 The white Bernardo sandals also come in turquoise, but my favorite green goddess inspired jellies have to be these from Ipanema. 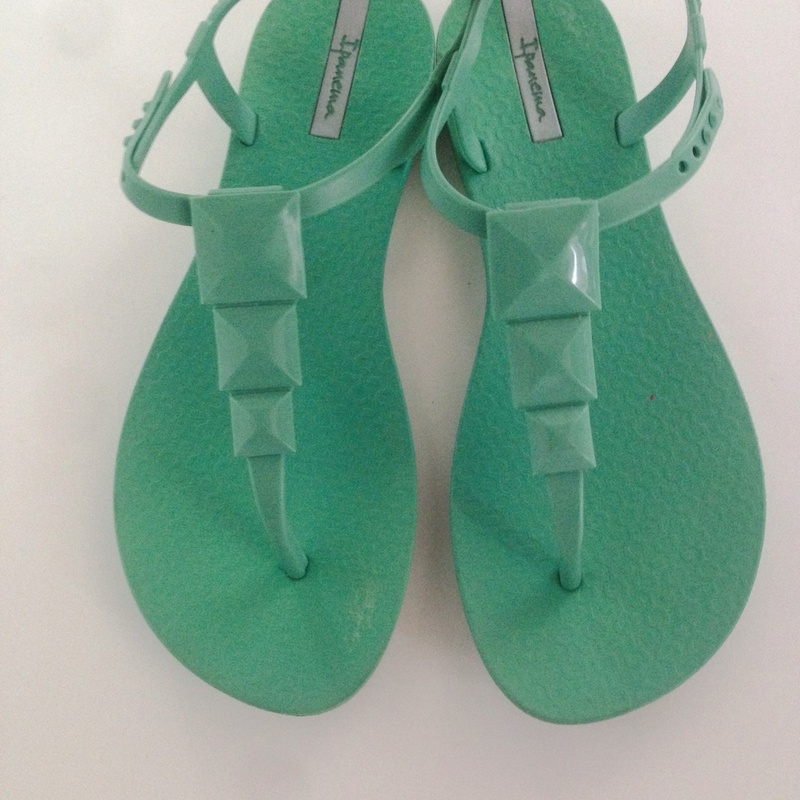 Pyramid sandals in the perfect green and now on sale for $19.60! They're super comfortable. Dress like a goddess this weekend. . . A GREEN GODDESS! How Mr. Hudson rolls in his green machine. . .